Yoga is more than meditation or breathing techniques. It goes beyond postures, fitness and flexibility. Yoga is an opportunity to engage in a practice that brings health, spirituality, physical, mental and emotional wellness together in whichever combination best suits the individuals. Join So Fresh founder, Lauren Spicer for private classes that will invigorate and inspire. Classes are held in your home, social area or on the sundeck of the Riande Granada Hotel. Group or individual experiences are specifically developed to encourage growth, balance and wellness. Lauren mindfully creates every class to fit the needs, goals and expectation of every client. Families, mother and babies, eldery, children, teens and adults can all benefit from these amazing classes. 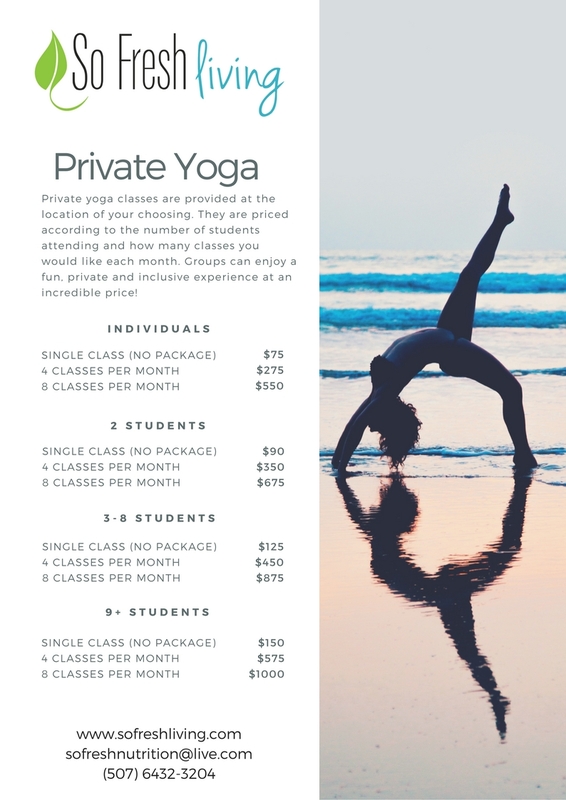 Our competitive prices are based upon the number of students in each class and the number of classes that will be hosted each month. To learn more or to arrange a trial class, please use the contact form provided. For information about our Yoga Retreats please see the RETREATS section of our website.